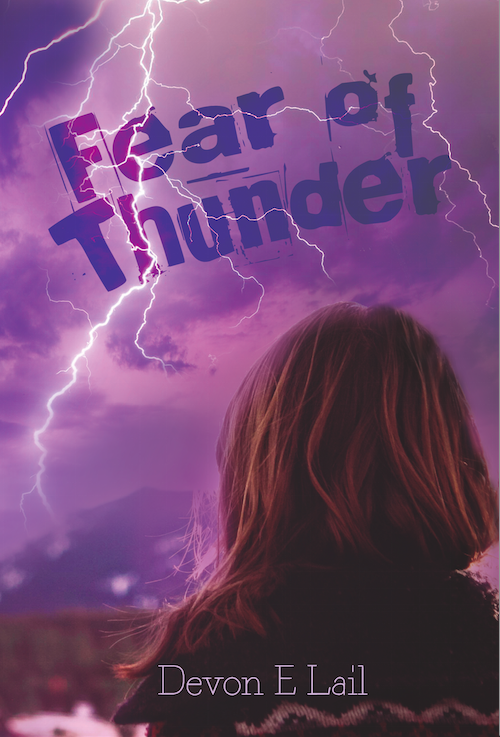 Fear of Thunder Cover Reveal! Henrietta Boyd is nobody. Just another college graduate with nothing to show for it except a job at a diner, unsupportive parents, and a strained, long-distance relationship with her college girlfriend. It seems as if life will never be what dreams are made of for Henrietta, that is until a group of criminals mistake her house for her neighbor’s. With a little sweet talk and wit, Henrietta finds herself whisked away into another world, where her elderly neighbors are not just retired bankers, celebrities never put away their theater masks, and no one is to be trusted. If you’re looking for diversity, this is the book for you! Several LGBTQ characters, specifically bisexual characters, and characters of color. Fear of Thunder comes out August 17th, but be sure to check out Devon E Lail’s author page as well. Without further ado, here’s the cover! Lovely, if I do say so myself. I hope you check it out when the book comes out next week!